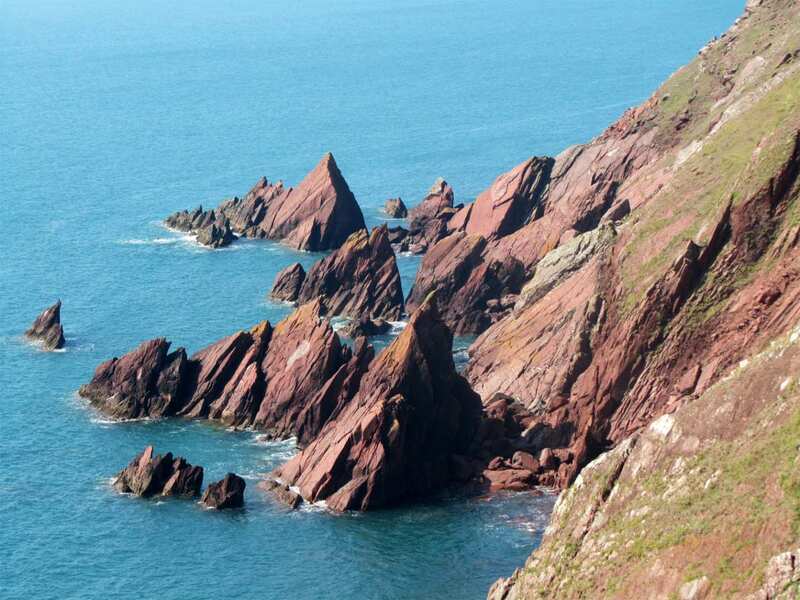 Explore the central section of the Pembrokeshire Coast Path on a self-guided walking holiday. Accommodation, luggage transfer and custom holiday pack included. 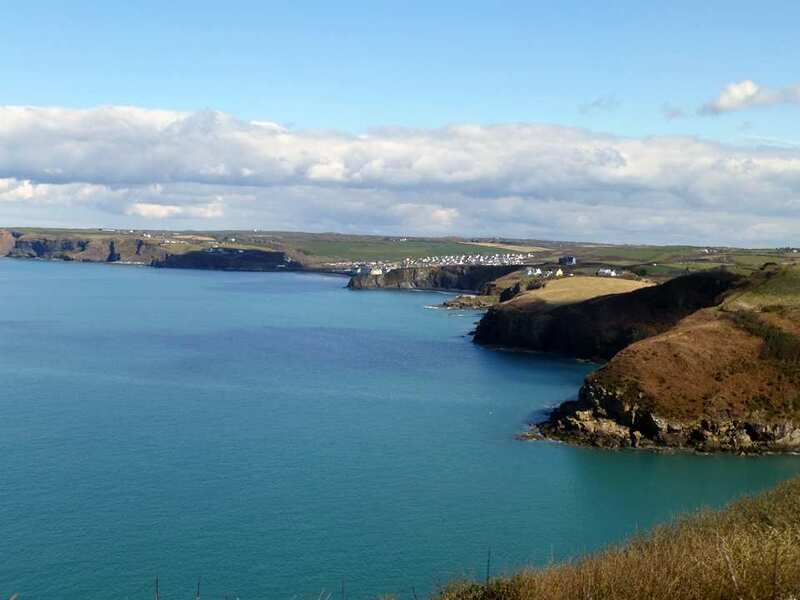 A walk from St Davids to Milford Haven along the central part of the Pembrokeshire Coast Path. 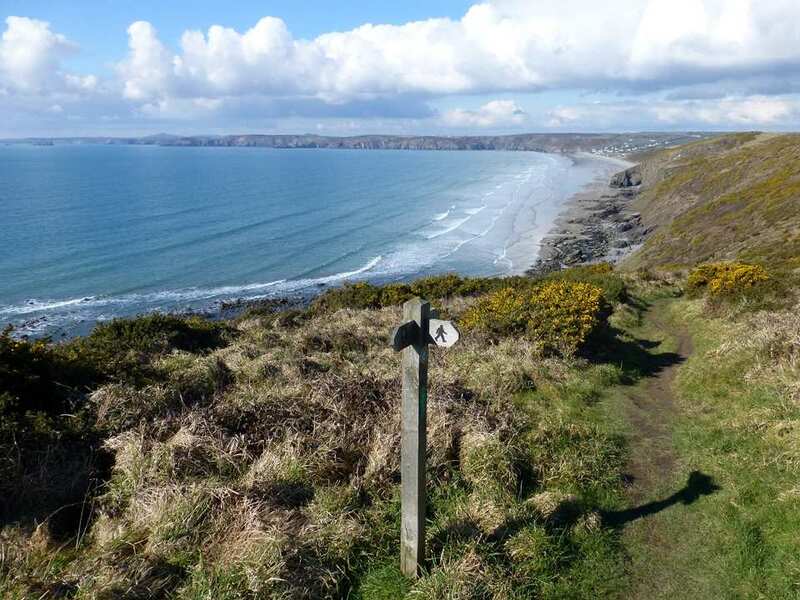 The central section of the Pembrokeshire Coast Path starts in the city of St Davids and takes in the high cliffs and pretty beaches along St Brides Bay before reaching the bustling port of Milford Haven. 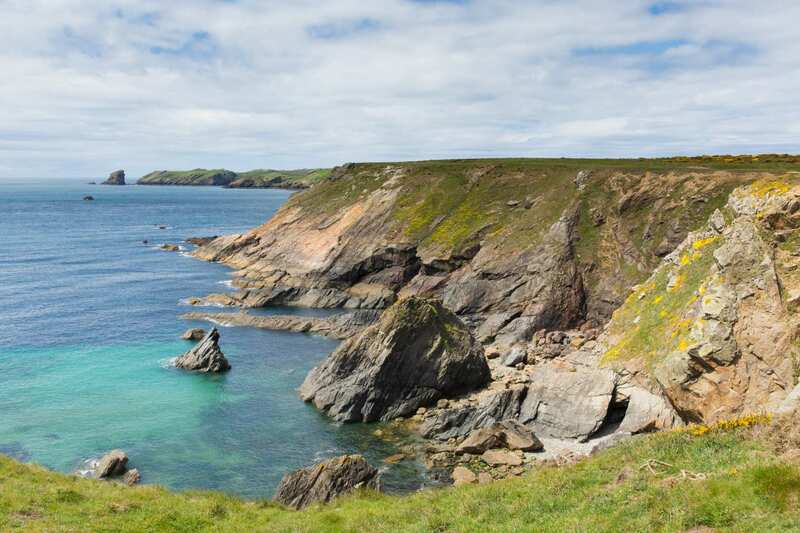 Clifftop walking trails around rocky headlands offer wonderful views and the chance to spot all kinds of wildlife, with RSPB’s Ramsey Island and the island of Skokholm being visible from St Brides Bay and Skomer respectively. The natural caves and rock formations at Druidston Haven are particularly fascinating, and there are also several lovely fishing villages along the trail, each with their own personal charm and insightful history. Exploring the Iron Age settlement and fort at The Gribin near Solva, with amazing views over Solva harbour. Visiting the excellent beaches at Newgale Sands, Druidston Haven and Broad Haven. Spotting seals, dolphins and porpoises as you follow the coast along St Brides Bay. 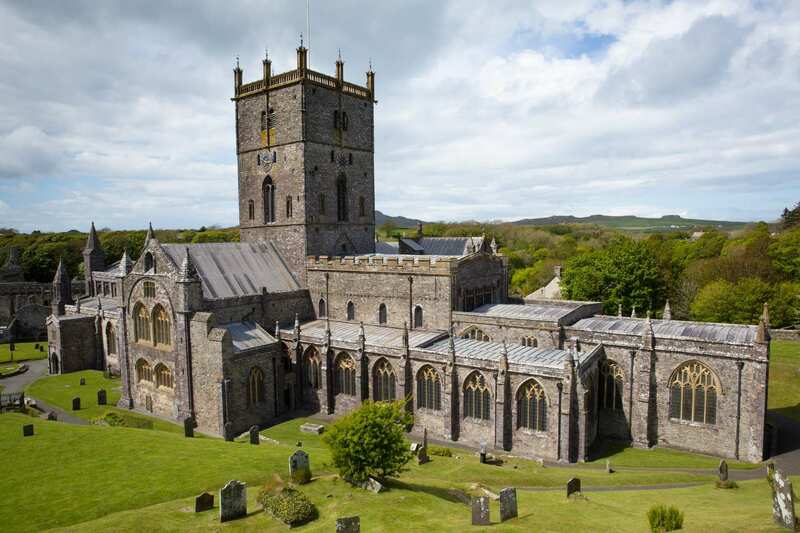 Many people have an extra night in St Davids at the start of their holiday to explore this delightful 'city' or to take a boat out to the abundant wildlife on Ramsay or Grassholm islands. 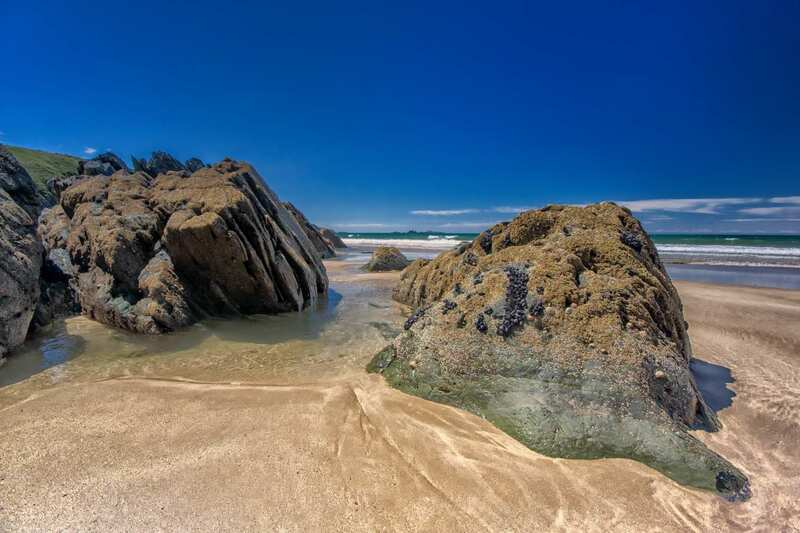 Marloes is a good choice if you would like to take a boat trip to the nature reserve islands of Skomer or Skokholm. Dale is another popular choice. By Air - The most convenient major city and international airports are Bristol, Cardiff and Birmingham. 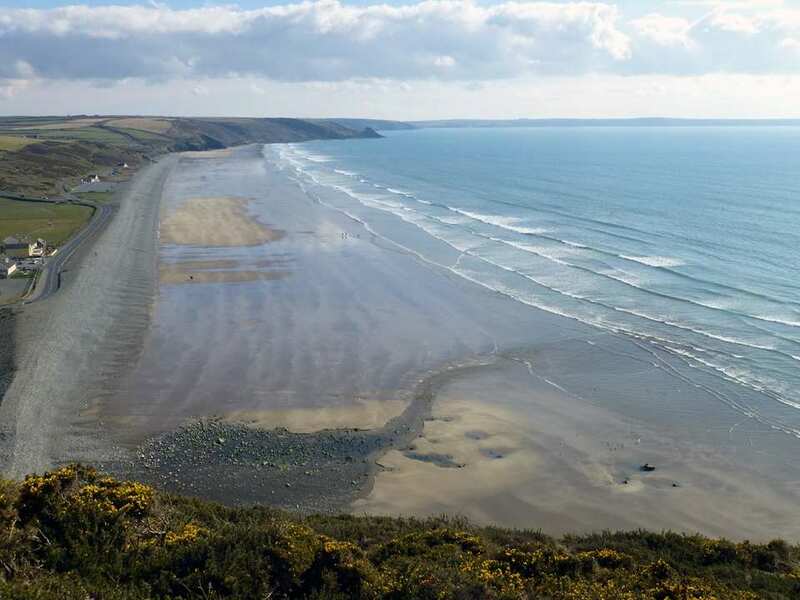 By Rail - The nearest rail stations to the start of the trail (St David?s) are either Fishguard & Goodwick (about 15.5 miles away) or Haverfordwest (about 16 miles away). There is a rail station at the end of the trail (Milford Haven). By Bus - Various bus services run to St David's and from Milford Haven. From London - Trains run from London Paddington station to Haverfordwest. From there a bus/taxi will be required to St David's. Return To The Start - The easiest way to return to the start of the trail is to catch the bus from Milford Haven to St David's.